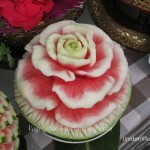 Songkran is also known as the water festival. 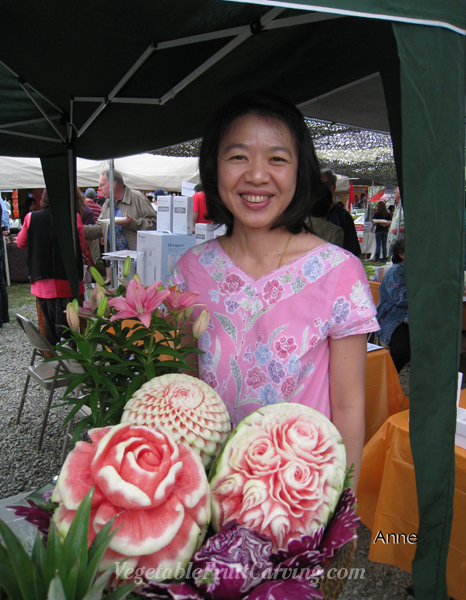 People gently pour water on each other’s hands and shoulders as a blessing for the new year. 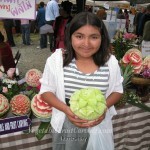 Kids like to do lots of playful splashing with water and squirt guns. 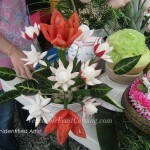 In some cities in Thailand the celebration continues for days. 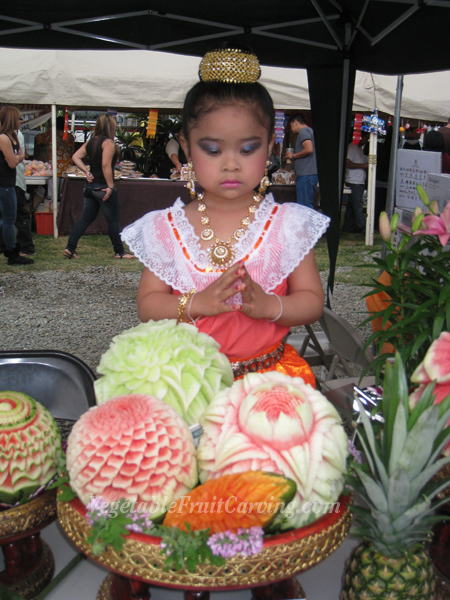 Here in California, it provides a great opportunity to enjoy some of the traditional Thai culture. 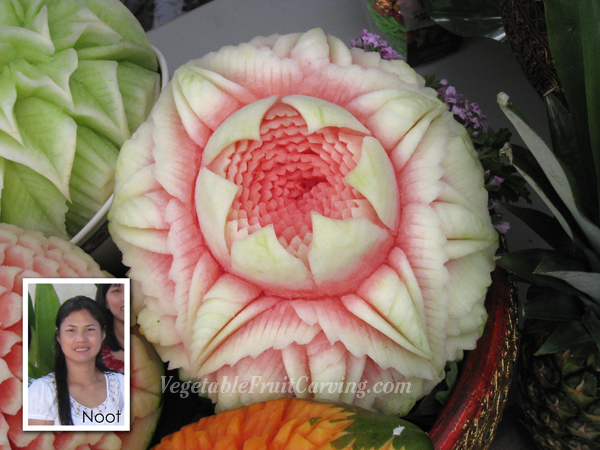 The Thai people are reknown for their beautiful and intricate fruit carving so it’s a great time to showcase the art of Thai fruit carving. 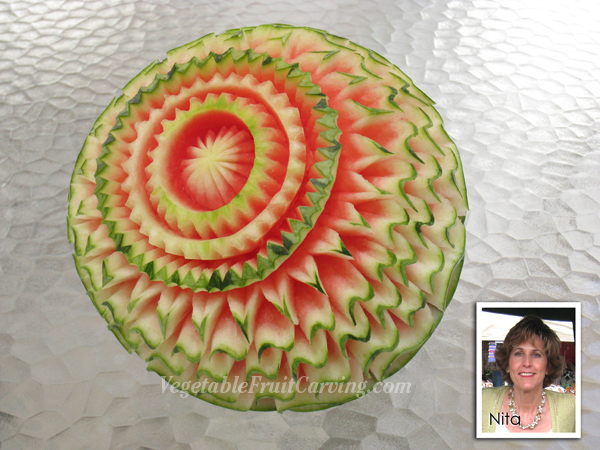 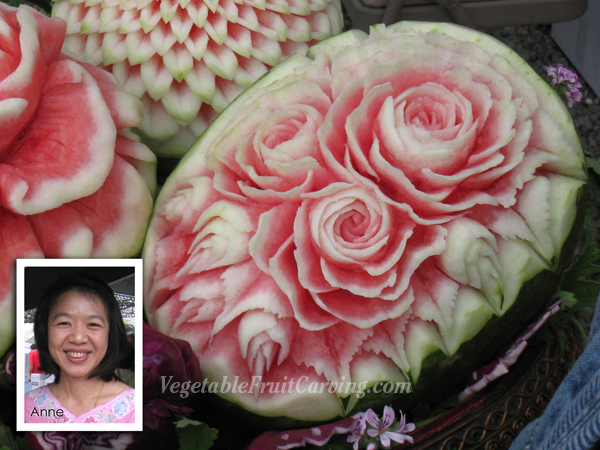 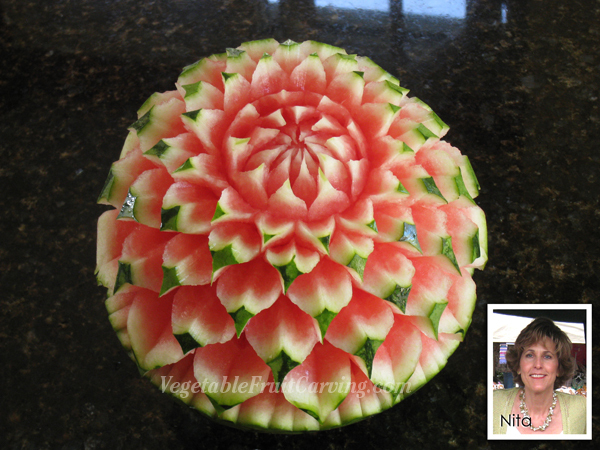 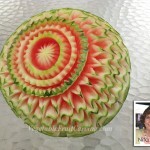 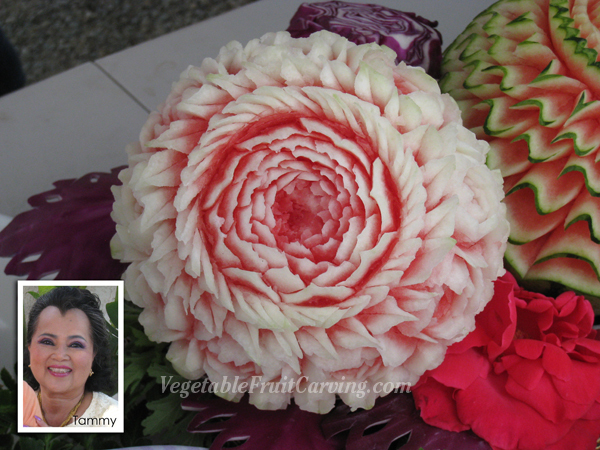 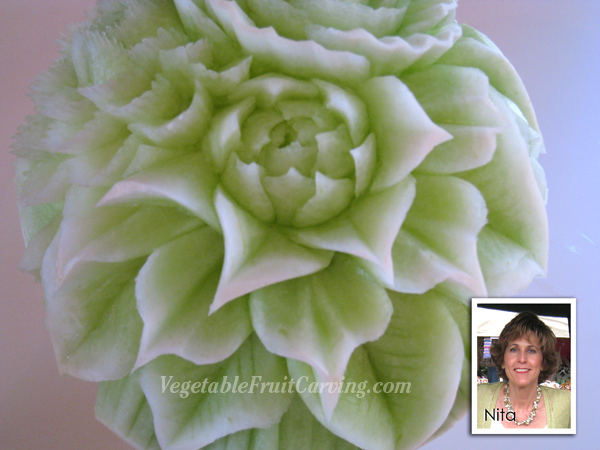 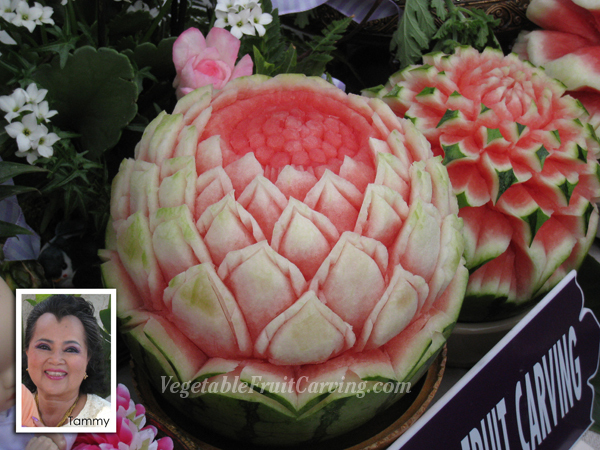 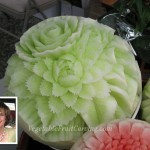 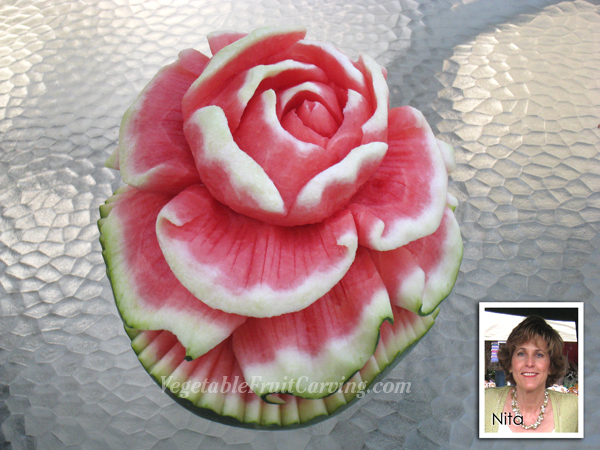 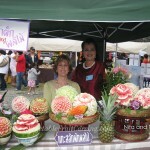 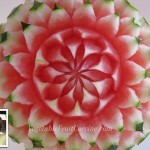 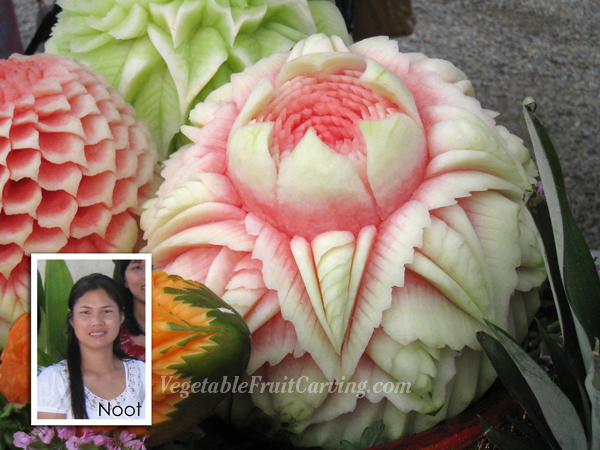 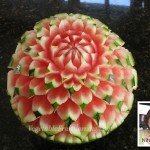 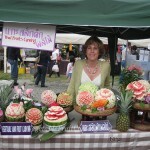 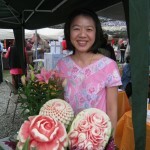 My Thai teachers Tammy and Tym have been wonderful with sharing and teaching their style of Thai fruit carving to me. 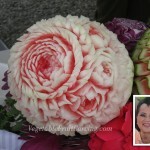 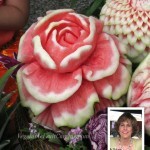 When you see Tammy and Tym’s carved roses in the photos you may wonder what they are carved from. 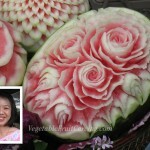 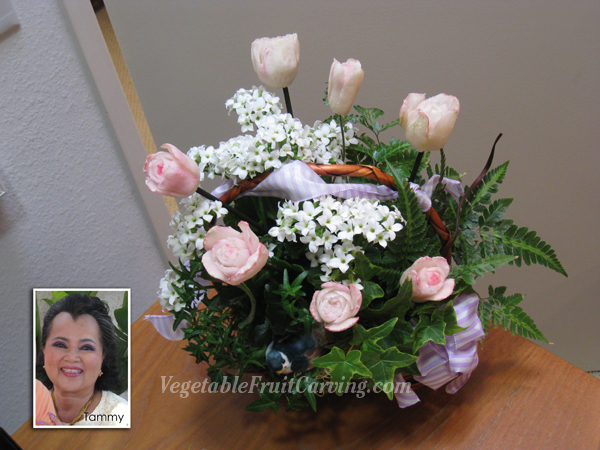 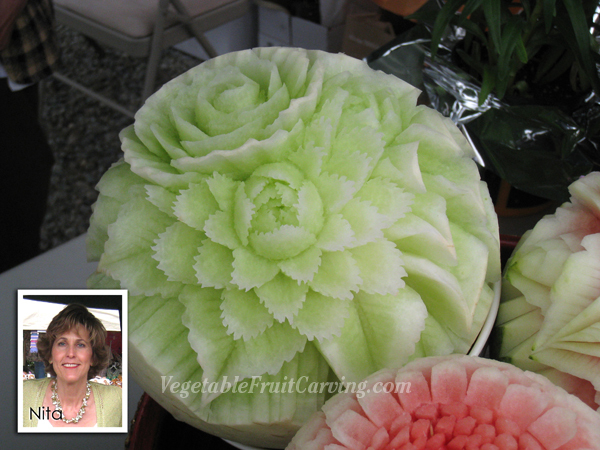 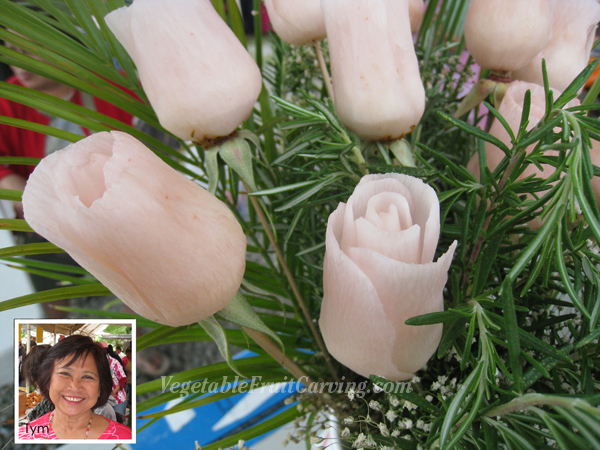 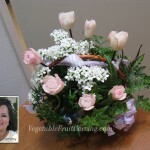 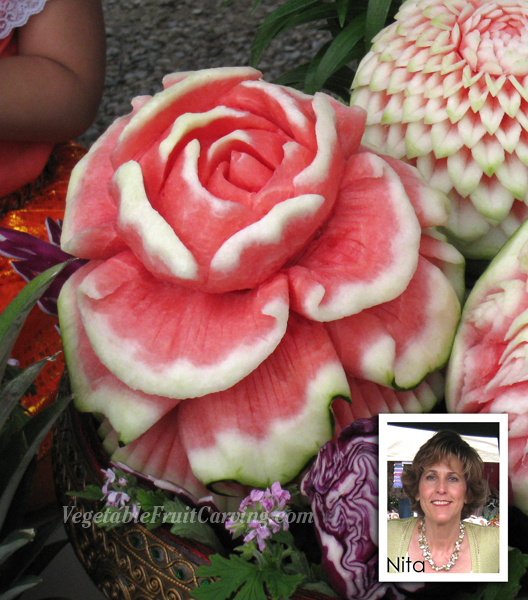 The roses are carved from daikon which is also known as Asian radish. 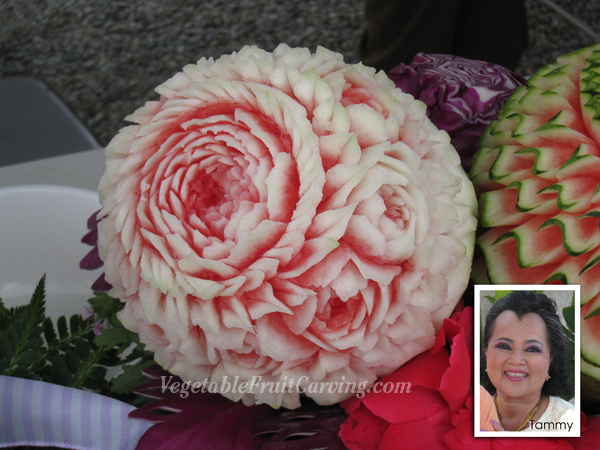 If you have never seen a daikon, they are white and cylindrical shaped. 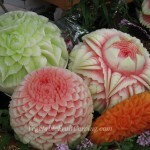 There are however different varieties of daikon including the large bulb like shaped Korean diakon. 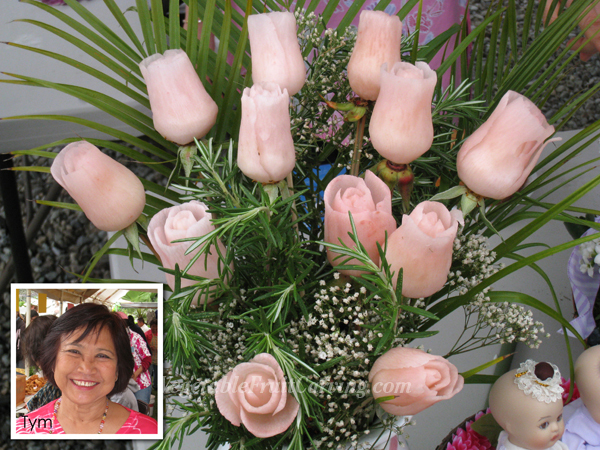 And, in case you are wondering, the pink color of these roses is from food coloring dye. 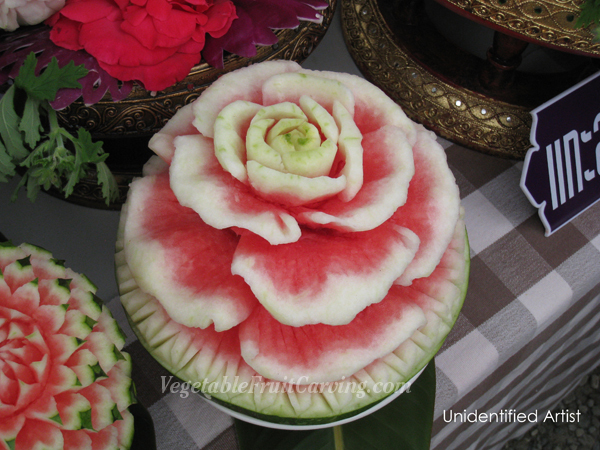 Besides showing off the lovely Thai fruit carving, this Songkran festival also included lots of traditional Thai foods and Thai music and dancing performances. 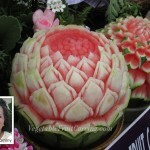 I’ll post some of those photos and video in tomorrow’s post. 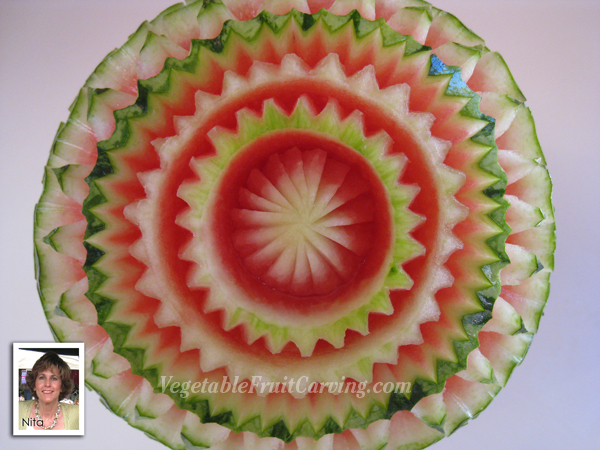 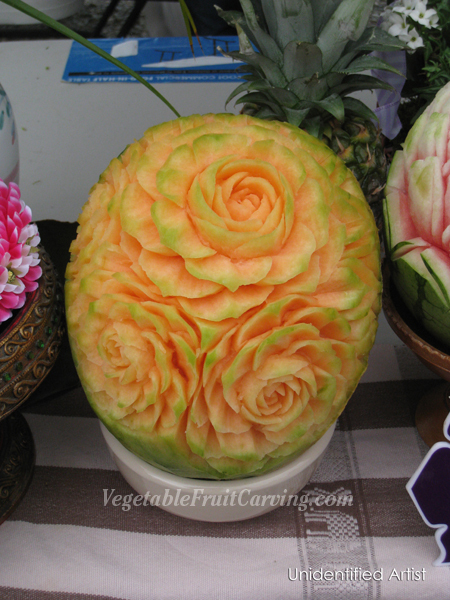 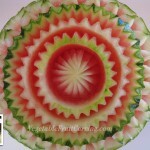 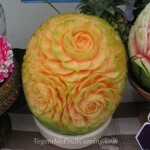 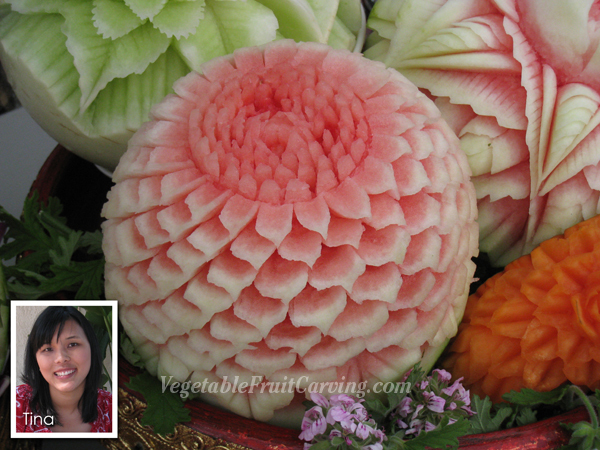 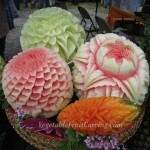 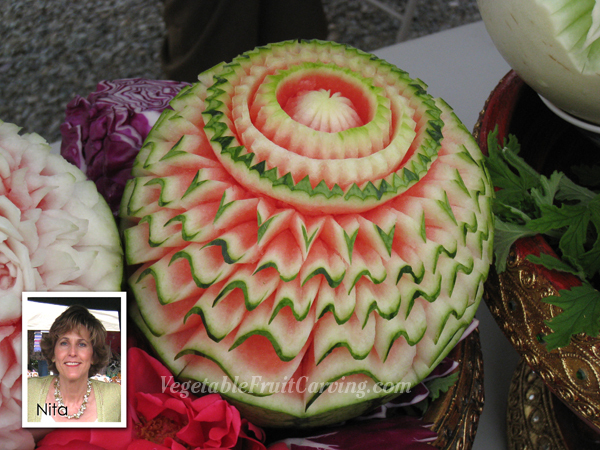 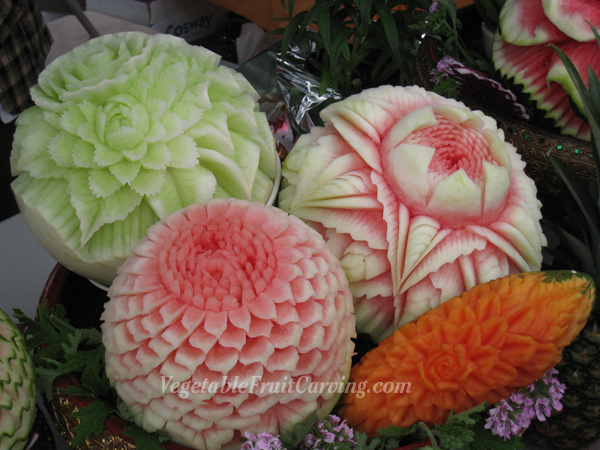 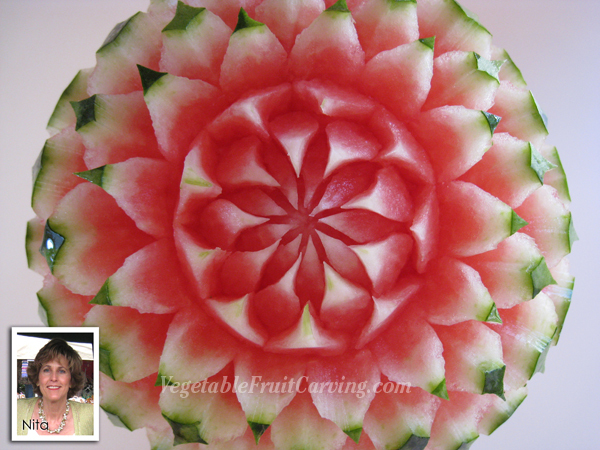 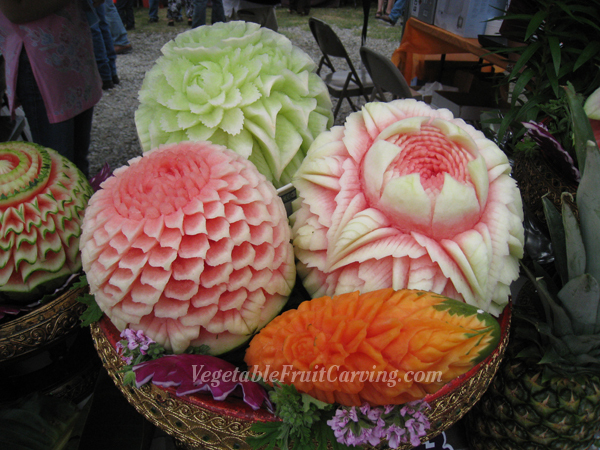 For now, you can enjoy looking at this lovely Thai fruit carving. 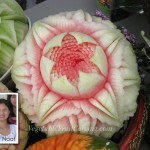 Maybe these will give you inspiration and ideas to make carvings of your own. 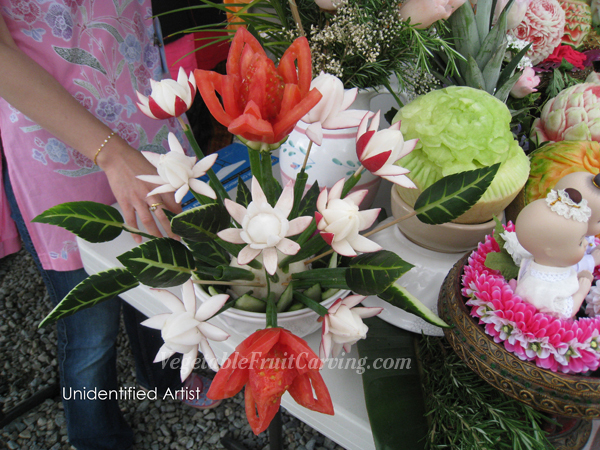 Last year’s Songkran festival had even more Thai Fruit Carvings. 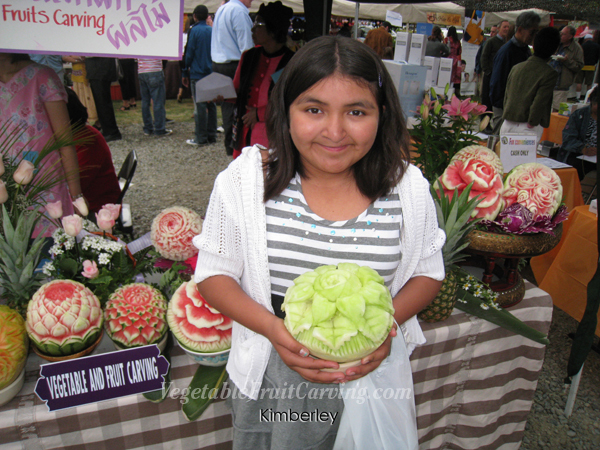 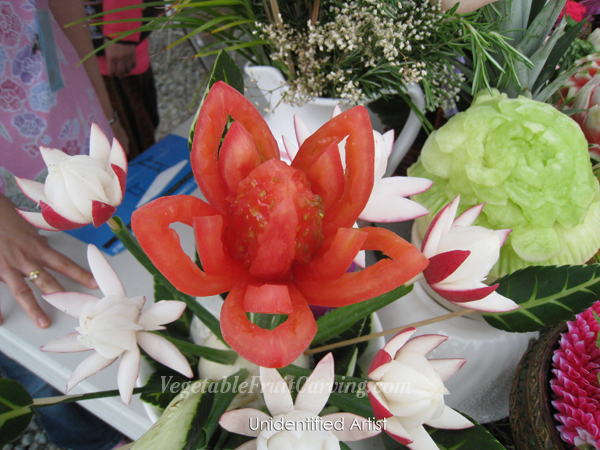 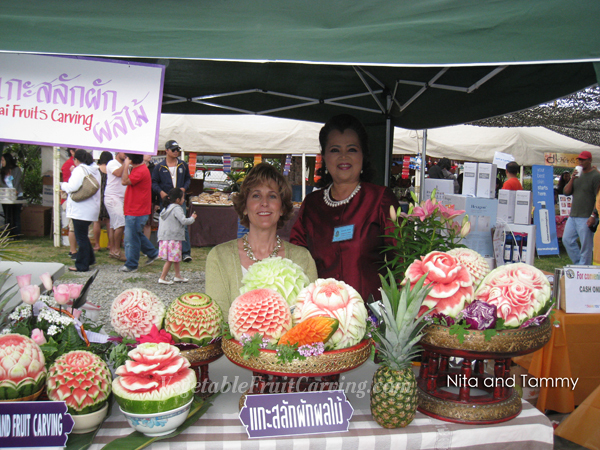 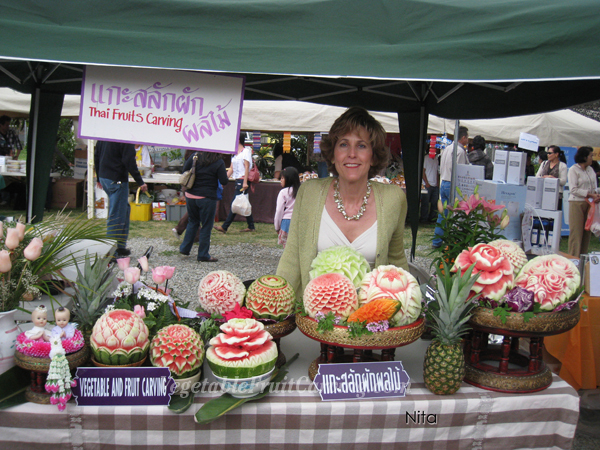 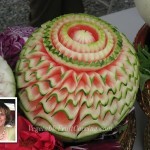 You see the Thai fruit carving displayed at last year’s festival here. 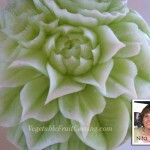 Thank you so much Nita for sharing those pictures. 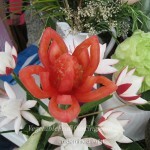 You are very talanted, you are holding out on us ;)? 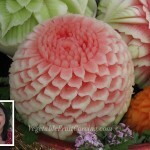 The carvings are very beautiful, the colors of the dancers are so colorful. 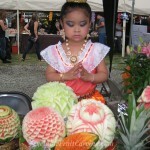 It is nice to read about Thai celebrations, thanks again Nita. 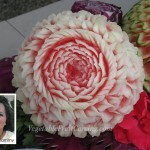 I am working on videos teaching how to do Thai style carvings of intermediate level. 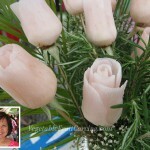 I hoped to have them available sooner but it always takes longer than I expect. 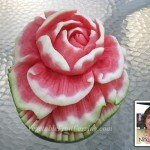 I’ll keep you posted when they become available. 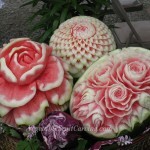 I’m well thank you. 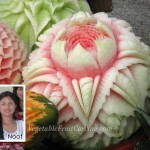 I’m happy to see that you are enjoying the photos and info on my blog. 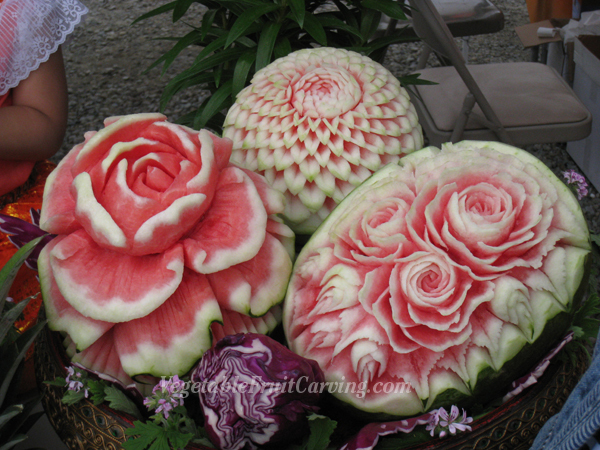 Thank you for your blessing. 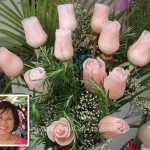 May God bless you , too.